The cold weather can cause all types of problems, especially when it comes to pouring concrete. While concrete pourback can be more difficult in colder weather, it is by no means impossible. In fact there are numerous instances when it may be necessary and unavoidable. There are certain steps you can take for complete concrete pourback success, even in colder temperatures. To learn more about the steps which need to be taken to make the process stick and end up with concrete that holds up against winter weather, read on. If it’s so much simpler to tackle in warmer months, why get started as the temperature drops? There are actually quite a few reasons. Many want to protect recently placed concrete from early-age freezing. This can also protect concrete and make sure that it has adequate strength development. Lastly, it also ensures that concrete will be protected from thermal shock and cracking at the end of the protection period. Cold weather in terms of concrete development is defined as temperatures which fall below 40 degrees Fahrenheit. If newly placed concrete freezes and is exposed to the freeze thaw cycle, it can be instantly and permanently damaged. This damage occurs because water expands by 9 percent as it freezes, and this damages the structural integrity of the concrete from within, causing cracking and a variety of other issues. It takes 24 to 48 hours for new concrete to attain the strength to stand up against frozen temperatures. In order to maintain the proper temperatures of freshly poured concrete in cold temperatures, there are different steps which can be taken. These include insulation, hydration, and different kinds of heaters. 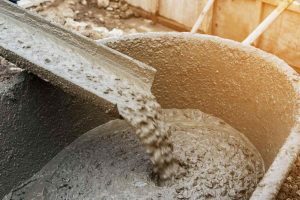 These are key to protect fresh concrete from thermal shock, cracking, and other types of permanent damage that will lead to expensive replacement. This entry was posted on Friday, December 23rd, 2016	at 2:29 pm	. Both comments and pings are currently closed.